While millions of shoppers prep their Black Friday shopping list, this local girl is gearing up for Small Business Saturday. I love shopping local for the holiday season. I think it makes gift giving extra special, who doesn’t want a unique gift that represents their hometown pride? 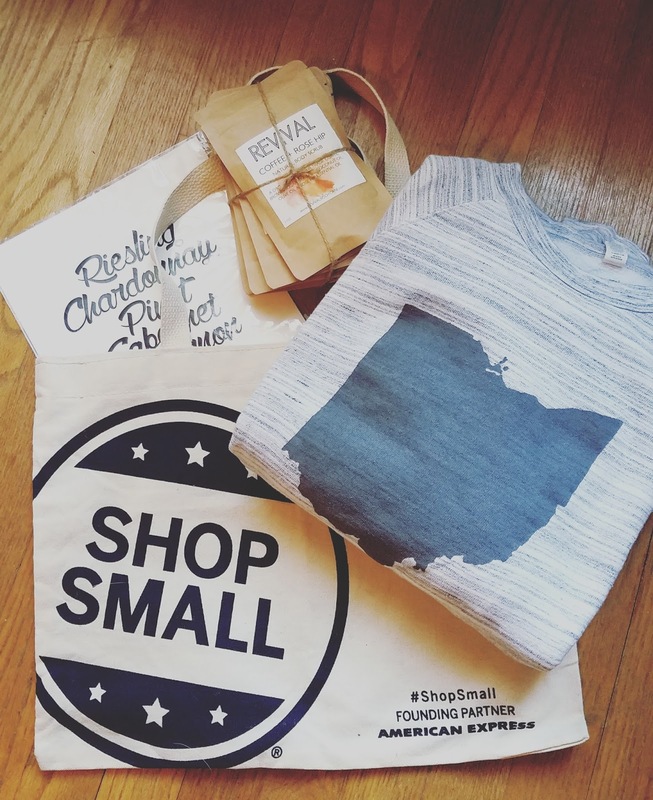 There are so many great local places to shop and I’m finding more and more each day, but to make your Small Business Saturday a little easier I’ve collected a list of some of my favorite places to shop and where to find them this Saturday. If you are from the Cleveland area you definitely have to get out this Saturday and check out some of these local makers and support the small businesses that make our city great! 1. Banyan Tree: Lifestyle and women's clothing boutique that offers trendy pieces and local goods. They have 3 locations, making it easy to shop this holiday season. Their flagship store is located in historic Tremont at 2242 Professor Ave, you’ll find the other two locations in Crocker Park or Legacy Village. 2. Cuyahoga Collective: Specialises in locally made homegoods. They are located at 15701 Madison Ave. in Lakewood. Special offers for SBS: Free Shop Small Tote with every purchase, while supplies last. All items are 25% off, and all their amazing prints that are made in house are BOGO! 3. Blackbird Fly Boutique: A Contemporary women’s clothing boutique that also features locally made goods and gifts for men. Located nearby the Historic West Side Market at 1983 W. 28th Street in Cleveland. 4. Fount: Offers hand crafted luxury leather made goods made right here in Cleveland. Located at 6706 Detroit Ave.
5. Cleveland Candle Company: Offers locally made candles in a variety of scents for everyone on your shopping list. They have two location’s, one in Coventry at 1810 Coventry Rd. and one in Mentor at 9516 Diamond Center Dr.
Special Offers for SBS: Free limited edition candle for the first 10 people in the store and for every $60 spent you get a Free 4oz candle. 6. Wandering Wardrobe: CLE’s 1st Boutique Truck that features fashion forward and affordable styles for women. To find “Wanda” there happily named Truck, follow them on Instagram @wanderingwaredrobe_cle. For SBS she will be parked at Shear Desire Salon and Beyond at 6170 Pearl Rd. in Parma. Special offers for SBS: 40% off Clearance, tons of new arrivals, and goodie bags! 7. Salty Not Sweet: Is a boutique that offers locally handmade goods located at 2074 W. 25th St. in Cleveland. 8. Merchant’s Mrkt: Uniting over 25 of Cleveland’s best merchants, makers, and artists all in one shop. This pop up boutique is in the heart of Legacy Village at 24687 Cedar Rd. in Lyndhurst. There you will find some of my favorite local makers such as, Snake’s and Acey’s, Linda’s Other Life, Barr’s Bars, and many more! 9. Cleveland Bazaar Winterfest: This SBS the Cleveland Bazaar will be located at the 5th Street Arcade at 530 Euclid Ave. in Cleveland. Here you can find some of my favorite local makers and discover some new ones too. Over 30 local makers will housed in one location this Saturday so it’s definitely worth a stop on your SBS travels! Fall weather is here! Which brings not only your pumpkin spice latte that you love so much but, cozy essentials like sweaters and scarfs to layer to stay warm this season. Finding the perfect sweater to wrap yourself up in is key, and I have found some snuggle worthy sweaters for this fall season I just had to share! First up, is my favorite style the open front cardi. Not only is this perfect for layering but, it makes it easy to stay warm with a growing baby bump. I’m really into the longer length cardi. I have an array of regular length ones in my wardrobe but this fall season I’m all about stocking up these longer cozy pieces. 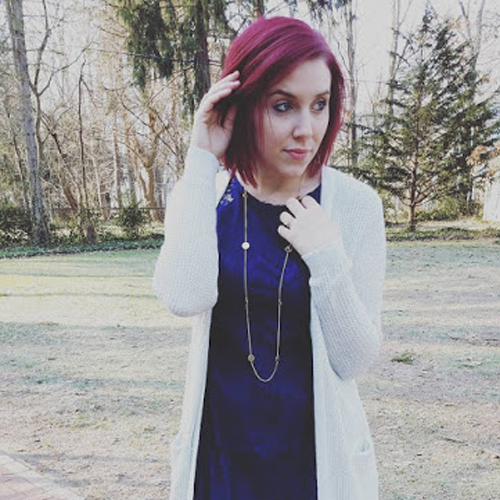 In my featured look I’m wearing one of my new favorites from Old Navy and below I’ve linked two more that are a must have for fall! My next style of sweater I’m gushing over this season are sweaters with a twist. Sweaters are being re-imagined in silhouette and detail this season. From pearl details to off the shoulder looks I’ve attached below will truly add some fun to your fall wardrobe! Whatever your sweater preference, I hope some of my favorites inspire you to stay warm in style this fall season. The possibilities are endless when it comes to finding the right sweater for fall feel free to leave some of your favorites below in the comments to help inspire more great sweater style!